General Insurers pay out an average of $135.9 million in claims to policyholders each working day. They only decline 3.6% of claims*. In 2017-18, insurers approved 3,361,016 claims from policyholders**. About 6.9 per cent of home and contents policyholders and 15.7 per cent of motor vehicle policyholders lodged claims in the December quarter of 2018 ^. When you make a claim on an insurance policy, you are formally notifying the insurance company that you have suffered a loss or damage that you believe is covered by the policy and you are requesting action. The insurer will review your claim and see if the event or circumstances are risks covered by the policy. You will need to provide proof it is a genuine claim and the insurer will need to be certain the claim satisfies the terms and conditions of your insurance policy. If your claim is accepted, the replacement or repair of your property or any payment by the insurer is called the benefit or payout. The insurer will work out the value of the claim and provide the appropriate benefit specified in your insurance contract. Insurance companies try to make the claims process as smooth as possible, but the policyholder must go through a few steps in the claims process. If you are well prepared and organised, and you have all the information that the insurance company needs to see, making a claim is usually straightforward and quick. The first thing you must do is contact your insurance company as soon as practical after the event happens, especially if the loss is due to theft or a serious accident. You can make your claim progress much more smoothly if you take an organised, step-by-step approach. The following guidelines will help you to make sure that you don’t overlook any of the important steps in the process. Damaged buildings can be very dangerous, so it’s important to listen to the advice of emergency services authorities about access to your property and the general area. If your property is not safe, do not try to enter. Above all, make sure you and family stay safe at all times. If you are ever affected by a crime such as theft, vandalism, malicious acts, or any serious accident (such as one in which a person is injured or a tow truck is required), you should call the police as soon as possible and keep the incident number they give you. Follow any directions the police give you and give them as much information as you can about what happened. For any serious incident, a police report will be made. Ask the police officer that you are dealing with to give you the police report number. You will need to include this in your insurance claim. You may choose to review the Product Disclosure Statement (PDS) and your policy schedule for your insurance policy to see if you have a valid claim and that the event is not on the list of exclusions for your policy. Your insurer will do this anyway once you lodge a claim. At this time you can check on the amount of excess you may need to pay. Contact your insurer or broker as soon as possible if you need to make a claim and have as much information available as you can. Making contact is critical to getting the claims process under way even if you don’t know the full extent of damage to your property. 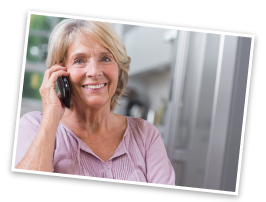 Some insurance claims can be made over the phone without you needing to fill in a form, which means that the claim can be processed straight away. However, for most claims, you will need to fill in a form. You can phone your insurer and ask it to send you a form, or you may be able to fill in the correct form on the company’s website or download it. Don’t worry if you can’t find your policy documents. Your insurer has electronic copies of every policy. 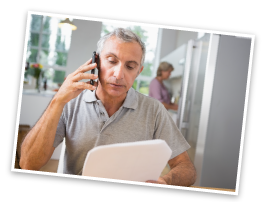 If you bought insurance through a broker, the broker should have your policy details at hand. If it is safe to do so, you can take steps to protect your property by undertaking temporary repairs or removing undamaged possessions. Damaged or soiled items that may be a health hazard can be moved to a safe area or disposed of after being photographed, but check with your insurer first. You need to provide enough evidence to prove the validity of your claim. Start by writing out your own version of what actually happened. You should do this straight after the incident because it is easy to forget the small details about what actually happened. Insurers may request certain documents and evidence to prove what has been lost or damaged or a likely liability. How much evidence is required will depend on the nature and the value of the claim. If important documents are missing you may need to provide your insurer with a written explanation. If you do not provide your insurer with sufficient proof of the loss or damage and ownership, it may ask you for more information. Your insurer may also ask you to keep all damaged items for inspection if required, unless they are a health hazard (for instance, furnishings after a flood). Some damaged items may also be suitable for repair. Keep all paperwork, notes and supporting materials together in a folder or notebook, such as the contact details of any witnesses or even receipts for the items that have been lost or damaged. It can be very useful to take photographs or videos for your own records. They can help provide details of what occurred, and in a complex claim you may need them as supporting evidence. 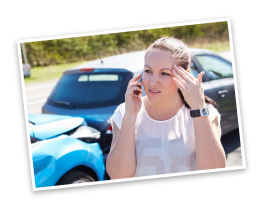 If you are suffering from financial hardship because of the event that has caused the insurance claim, companies promise to fast track the assessment and also to make an advance payment for any urgent financial need. Most large claims will involve an insurance assessor. Their task is to examine your situation, your loss and its value. They will then advise your insurance company who will make a decision on your claim. In some cases, your insurer may ask engineers, tradespeople or other experts to provide specialist advice. All of this is aimed at determining how the claim will be managed. Working with your insurer to gather repair quotes and agree on a scope of works is an essential step towards having repairs or rebuilding works carried out (or a cash settlement agreed). Your insurer may send qualified tradespeople to your property to quote for repair work. Or, you may be asked to secure your own quotes for the insurer to consider. 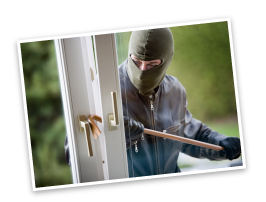 Be cautious about people approaching you direct with offers to repair your property for cash – your insurer will always advise you when to expect a tradesman and they will carry appropriate identification. Processes vary from insurer to insurer but in general once quotes and scopes of work have been settled, start dates can then be agreed with the required tradespeople. At this stage, you can discuss a cash settlement from your insurer. For more on the assessment and repairs process click here. Insurance companies are expected to promptly assess all of the claims that are made, and to pay out all claims that are covered by their policies. Under the General Insurance Code of Practice, insurance companies promise to respond to your claim within 10 business days and tell you whether they will accept or deny your claim based on the information you have provided. There are some special clauses in the General Insurance Code of Practice that deal with claims as a result of catastrophes and disasters. Insurance companies may not be able to meet tight deadlines when a lot of people are making claims at the same time after an extraordinary catastrophe or disaster. So the Code allows them to take up to twelve months to make a decision about a claim. However, insurers will try to settle claims as quickly as possible after a catastrophe or disaster. If your property claim is finalised within a month, you can still ask for your claim to be reviewed up to six months after finalisation, if you think the assessment of your loss was not complete or accurate. If the insurance company needs more detailed information before making a decision, it will let you know what information it needs from you within 10 business days of receiving your claim. The insurance company might decide to appoint a loss assessor, loss adjuster or an investigator to get more information. If so, the insurance company will give you an estimate of how long it will take to make a decision about your claim. It will also notify you within five business days of appointing that person and it will let you know, every 20 business days, about the progress of your claim. For more information on claims handling standards click here. You can have access to any information about you that was used by the insurance company to assess your claim, unless the company is investigating your claim. 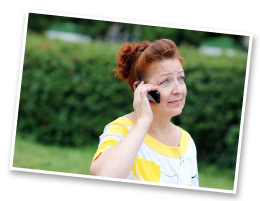 Insurance companies are not allowed to be unreasonable in denying your request for information and reports about your claim. If you ask for them, the insurance company will also supply you with copies of any reports from service providers that were used in assessing your claim. If a mistake is identified in dealing with your claim the insurance company promises to correct that information straight away. If an insurance claim is denied, the company must provide written reasons for the decision to deny the claim and information about its complaints handling procedures. For more information on what you can do if your claim is rejected click here. Not sure about something? Talk to your insurer first. General insurers only deny about 3 per cent of claims each year, and pay out an average of $124.6 million in claims to policyholders each working day*. In 2015-16, insurers approved 3,361,016 claims from policyholders. However, sometimes the insurance company and the customer disagree on the insurer’s decision. Under Australian law, insurers are required to have in place two distinct complaints processes. One must be an internal complaints process within the insurance company and the other must be an external dispute resolution scheme that is independent from the insurer. This ensures disputes between insurers and policyholders are resolved in a fair and straightforward fashion. For more information on disputes and what you can do if your claim is rejected click here. Though each insurance company has its own processes for handling claims, general insurance companies that are members of the Insurance Council of Australia are required to meet or exceed the standards for claims handling laid down in the General Insurance Code of Practice. The Code describes how insurers must handle their customers, including the time it takes to handle and make decisions on claims. Compliance is monitored by the Australian Financial Complaints Authority (AFCA). Insurance companies are expected to promptly assess all of the claims that are made, and to pay out all claims that are covered by the wording in their policies. Under the General Insurance Code of Practice, insurance companies promise to respond to your claim within 10 business days and tell you whether they will accept or deny your claim based on the information you have provided. When you make a claim you will need to provide enough proof of your financial loss under the policy. This may include proof of ownership of claimed items, police or medical reports, and receipts or invoices. If the insurance company needs more detailed information before making a decision, it will let you know what information it needs from you within 10 business days of receiving your claim. The insurance company might decide to appoint a loss assessor, loss adjuster or an investigator to get more information. If so, the insurance company will give you an estimate of how long it will take to make a decision about your claim. It will also notify you within five business days of appointing that person and it will let you know, every 20 business days, about the progress of your claim. If your claim is complex, the insurance company will negotiate with you to arrange a different timeframe for settling the claim. You can have access to any information about you that was used by the insurance company to assess your claim, unless the company is investigating your claim. Insurance companies are not allowed to be unreasonable in denying your request for information and reports about your claim. If you ask for them, the insurance company will also supply you with copies of any reports from service providers that were used in assessing your claim. The General Insurance Code of Practice addresses insurance company responses an event declared by the ICA to be a catastrophe because the companies may not be able to meet tight deadlines when a lot of people are making property claims at the same time. If you have a property claim resulting from a catastrophe and insurers have finalised your claim within one month after the catastrophe event causing your loss, you can request a review of your claim if you think the assessment of your loss was not complete or accurate, even though you may have signed a release. Insurers will give you 12 months from the date of finalisation of your claim to ask for a review of your claim. For more on financial hardships click here. You should file your claim as soon as you have gathered the information you need. By making a claim and getting a claim number, your insurer is made aware of your loss and can start assessing your claim. You can provide the relevant information later. If you delay reporting your claim, your insurer may not pay for any additional loss or damage caused by your delay. Some types of policies may also have time limits to lodge a claim so check your policy. If you fall behind on your instalments or are late with an annual payment, be sure to make up the shortfall as soon as possible. Your insurer may allow a grace period where it will extend cover so long as you pay by a certain date. If you are unable to pay your premiums due to financial hardship, contact your insurance company to discuss this. 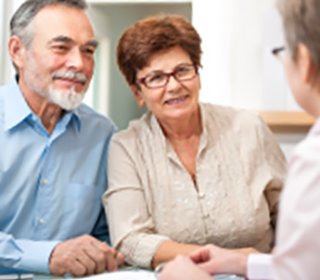 Given the circumstances, you may be able to make arrangements to help ensure your policy remains current. Some insurers, particularly for late annual payments, may recommence cover from the date they receive payment. If so, you will have no cover from the date your payment is due until the date you make the payment. If you don’t pay your premium your cover may be cancelled. Generally if a payment is overdue your insurer can refuse to pay a claim if a payment is 14 days (or more) late and can automatically cancel your policy without notifying you if payment is a month (or more) late. This is provided you were informed of this by your insurer before you entered into your insurance contract. If you are paying your premium by instalments make sure your nominated account has sufficient funds to meet each payment at each due date. Talk to your insurer before you spend money on temporary repairs after an incident. Some repairs might be urgent and necessary – such as preventing water coming through a damaged roof – but don’t overspend. Many insurers have preferred repairers and suppliers and can arrange appropriate emergency repairs for you. 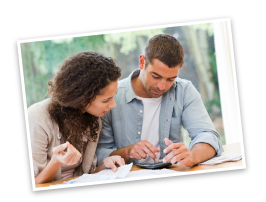 Remember to keep receipts for any out-of-pocket expenses you incur. The use of a claims advisor should be considered carefully and with full transparency, the same for any service or tradesperson. Claims advisors may not lead to better outcomes for customers than they could generate for themselves. Before engaging a claims advisor the customer should ensure they understand the advisor’s fee structure and any commissions, in particular how this may influence the advice and services they provide, including the time taken to resolve a claim. The customer should inquire whether using the claims advisor might further delay a positive outcome. The customer should check the advisor has appropriate professional indemnity insurance and holds relevant building licences, and request to see proof. Finally and most importantly, the customer should ensure the agreement with the claims advisor is clear regarding the services they will provide, including timelines and targets for having the claim settled. Insurers will not usually pay a customer’s costs for the engagement of a claims advisor. Need to review your insurance?